Summary: This project was to install LED floodlighting and an external kitchen in the garden of a large residential home in Edgbaston. 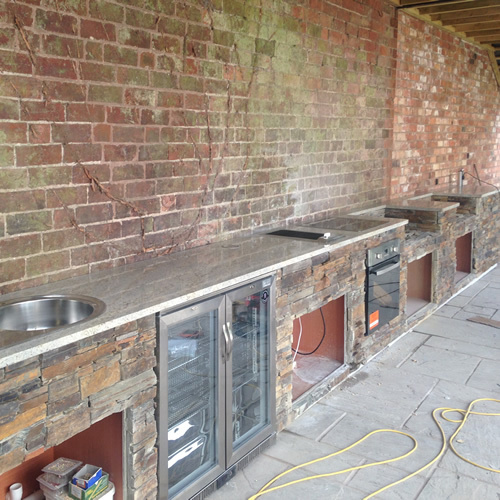 The Brief: The customer wanted an outside kitchen for entertaining and social occasions. The kitchen featured two gas BBQs, two electric ovens, a hob, a hot water tap, a fridge and three pop up sockets. We dug a trench along the front of the property into the basement where we installed a new 25mm sub main cable. 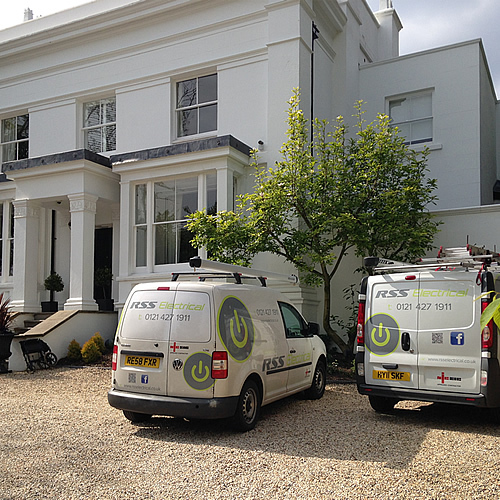 We then installed a new IP rated fuse board at the side of the house. We also installed cable trays behind the units to carry the cabling to the different appliances. All accessories had to be waterproof. The project was finished on time and the customer was pleased with the result - ready in time for a family birthday celebration.